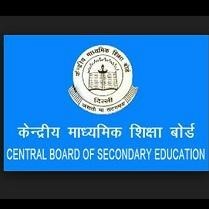 CBSE has issued a notice where they have confirmed that the results of Secondary School Examination (Class-X) 2018 will be declared on May 29, 2018. As per previous years, this year also the CBSE is hosting its results on net with the technical support of National Informatics Centre (NIC), Department of Information Technology, Ministry of Communications and Information Technology, Govt. of India. • Started in 2016, this year also CBSE will also provide Class-X digital mark sheets in DigiLocker at digilocker.gov.in. • The DigiLocker account credentials will be sent to students via SMS on their mobile number registered with CBSE. • DigiLocker can also be accessed from your mobile phone on Android and iOS platforms. • Students can also view their results on UMANG mobile application which is available for android, iOS and windows based smart phone. The date of birth format is ddmmyyyy. Schools under the Delhi Region are advised to collect the results from the office of the respective Zonal office of Deputy Director of Education after declaration of the result by confirming time with them. The process of verification will be displayed on CBSE’s website.